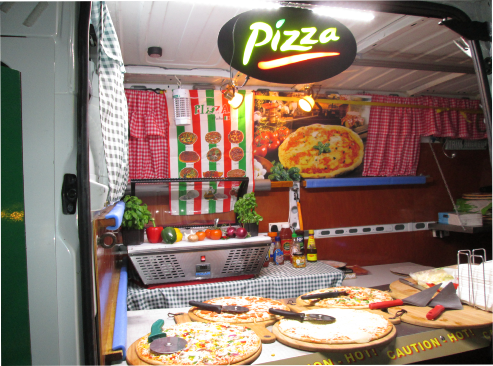 This mobile pizza catering services is the fastest you will see a pizza cooked to perfection! Yes it take 90 seconds to bake in our dedicated turbo pizza ovens! These freshly baked Italian Based pizzas are delicious. Like the best you have ever tasted. You won’t know how delicious until you try one; Then you will be back for more! 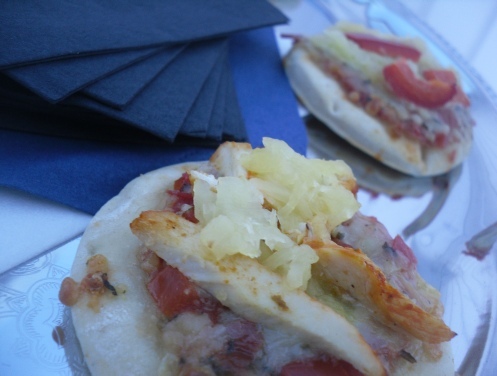 Made with genuine Italian thin and crispy stone baked bases or Italian wood fired bases, both topped with freshly prepared ingredients. 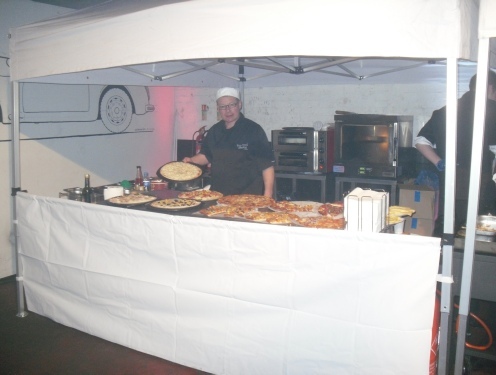 The pizza chef can create a pizza just as you or your client request, the pizza chef can bake any size from mini pizzas to a 14” super pizza, individual round mini pizzas or slices can be cut from the larger pizzas if required. American, Indian, Oriental, Tapas mini saviours. 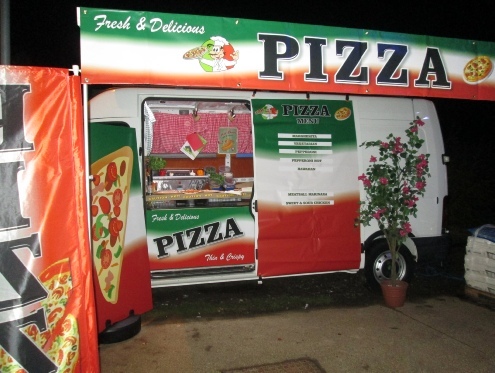 Trade Stand Catering *** Mobile Pizza Catering.